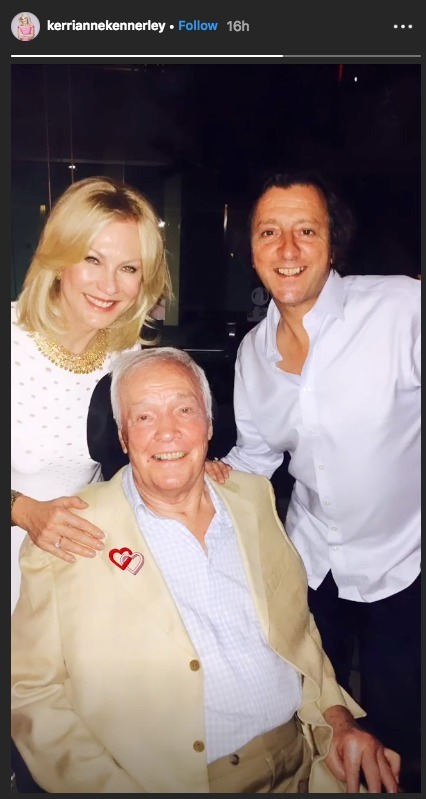 Following the devastating news last month that her beloved husband had passed away, Kerri-Anne Kennerley has given fans an update and revealed some special details ahead of John’s funeral. Speaking on Monday’s episode of Studio 10, Sarah Harris issued a message on behalf of her “dear friend” and colleague. She revealed that the popular Channel 10 show had received hundreds of condolence messages from fans and that every single message had been passed on to Kerri-Anne. The 37-year-old said people don’t come much tougher than the former Good Morning Australia host but revealed the star would be taking a break before making her return to Studio 10 at the end of March. She also explained that John’s funeral would take place on Monday morning. Sarah explained that she, Angela Bishop and Joe Hildebrand would be attending the service to show their support for their friend and that they would be finishing up on Studio 10 earlier to attend the service. John and Kerri-Anne were married for 35 years and she made the shock announcement to fans on Instagram with a heartfelt message. Kerri-Anne explained that her husband passed away with her and his son Simon by his side. She described John as the love of her life. On Sunday, she also shared a happy photo of herself with John on her Instagram page. Do you have a message of support for Kerri-Anne on this difficult day?